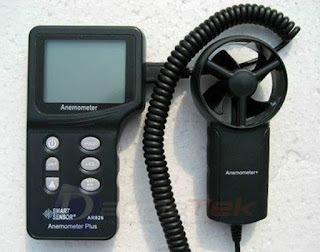 Smart Sensor AR-826 -- Digital Anemometer has measuring wind speed as the basic function, incorporates the calculation, measuring temperature and relative air temperature with a combination of a variety of functions such as series of instrumentation. 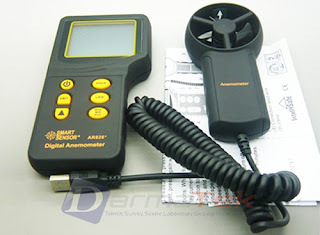 Smart Sensor AR-826 -- Digital Anemometer is portable, low speed, multi-functional intellectualized wind flow meter. Widely used in heating, ventilation, air conditioning, environmental protection, energy conservation monitoring, meteorology, agriculture, refrigerating, drying, labor health survey, clean workshop, chemical fiber and textile.